The festival announced a number of the Canadian films that will be screening at this year's festival. One of the films showing is Sarah Polley's (The Sweet Hereafter, My Life Without Me), feature directorial debut, Away From Her, which stars Julie Christie, Michael Murphy, Gordon Pinsent, Olympia Dukakis, Wendy Crewson, Alberta Watson, and more. The movie is based on the short story "The Bear Came Over the Mountain", by Alice Munro, which dealswith a man (Pinset) who watches his Alzheimer's-afflicted wife (Christie) slowly forget him and turn to another resident in her nursing home. Movie City Indie has a synopsis of the film: http://www.mcnblogs.com/mcindie/archives/2006/02/everything_is_p_1.html. Sarah Polley was at last year's festival in Beowulf and Grendel. Also showing is Allan King's documentary EMPz 4 LIFE, about 4 teenagers in the suburbs. King has previously been at the festival with powerful documentaries such as "Memory for Max, Claire, Ida and Company", and "Dying at Grace". Andrew Currie's Fido, about a boy and his best friend, a zombie named Fido, is another premiere. It stars Carrie-Anne Moss (The Matrix), Billy Connolly (The Last Samurai, Mrs. Brown), and Henry Czerny (The Boys of St. Vincent, Mission Impossible). Paul Fox's Everything's Gone Green, which was written by Douglas Coupland, stars Paulo Costanzo (Joey) as a man who, according to IMDB, enters into a money laundering scheme while working for a lottery magazine. Douglas Coupland was at last year's festival with his documentary of sorts, Souvenir of Canada. Interestingly, the film also stars two actors from the Canadian TV series Godiva's. Guy Maddin returns to the festival with his silent film Brand Upon the Brain! Maddin has been at the festival previously with such films as My Dad is 100 Years Old, and The Saddest Music in the World, both with Isabella Rossellini. 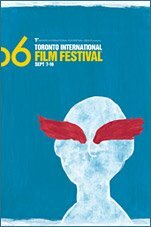 Ticket sales are underway for the 2006 Toronto International Film Festival. At this point, you can only buy books of coupons or different types of festival passes. You can't select any films yet; that process occurs at the end of August. You can buy passes and coupons at the box office at the Manulife Centre, or you can phone the festival, or you can order online at the festival website (http://www.e.bell.ca/filmfest). Because advanced ordering has already occurred, the Roy Thomson Hall gala pass and the Visa Screening Room pass are already sold out. However, you can still by coupon books, the Globetrotter pass (6 pre-selected films), the Festival Experience pass (3 pre-selected films), the Midnight Madness pass (a ticket for each Midnight Madness film), and Family passes. If you buy a pass, you don't have to do much else other than pick up your tickets around when the festival starts. If you buy coupon books, you'll have to pick films at the end of August. For more information on that, you can consult my posts from last year's festival (I'll be updating and reposting this information later on).